A dramatic day on the Giro d’Italia saw Tom Dumoulin slash Simon Yates’ overall lead in half to set up a thrilling final two days in the mountains. It was only in the last 2km, on the long climb to Prato Nevoso, that Yates showed his first sign of weakness in almost three weeks. When Dumoulin marked a late attack by Chris Froome, Yates could not follow. By the finish he had held on to the pink jersey by just 28 seconds. Richard Moore and Daniel Friebe report from the summit of the climb, where they spoke to Dumoulin and to Froome’s teammates Kenny Ellissonde and David de la Cruz. 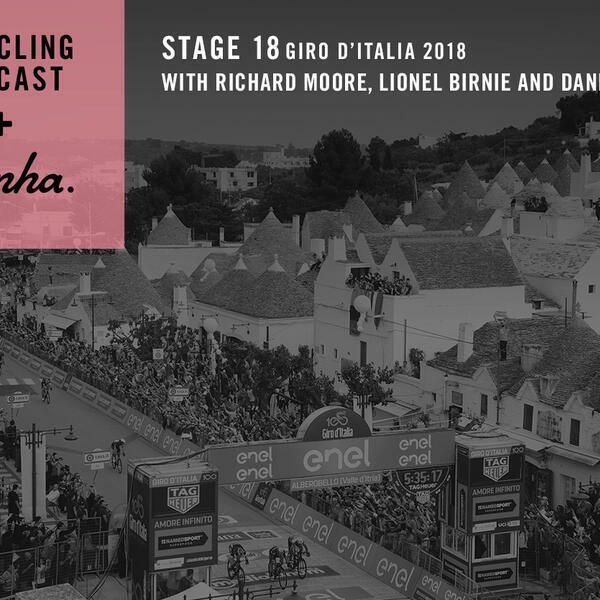 We also hear from Dumoulin’s teammate Chad Haga, from Austrian rider Patrick Konrad and Michael Mørkøv, who was in the day’s break and helped his Quick-Step teammate Max Schachmann win the stage.